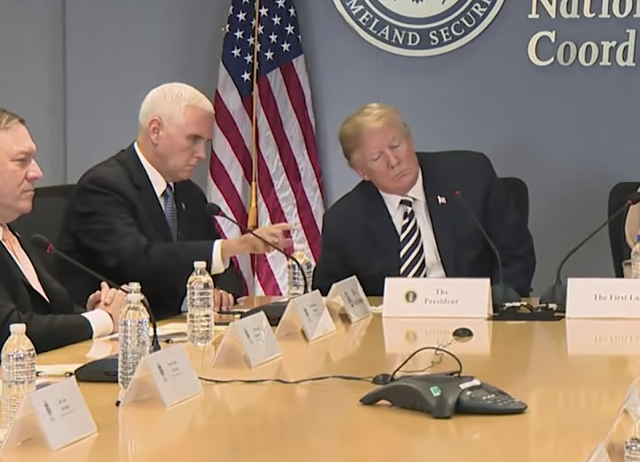 On Wednesday, during a meeting at FEMA headquarters regarding the 2018 Hurricane season, Mike Pence displayed a particular nonverbal behavior which has drawn considerable attention. 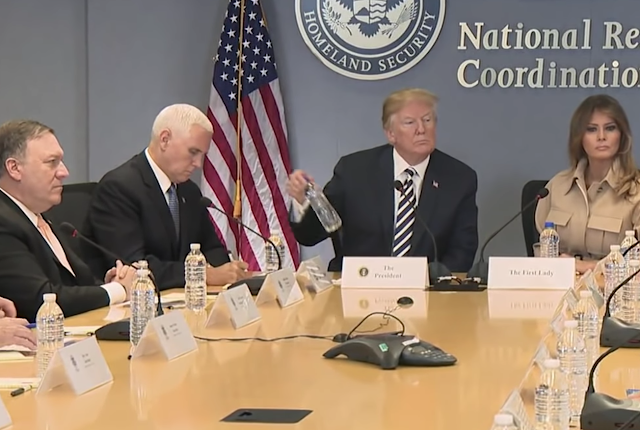 The video above shows President Trump removing his water bottle from the table with his right hand and then placing it on the floor. 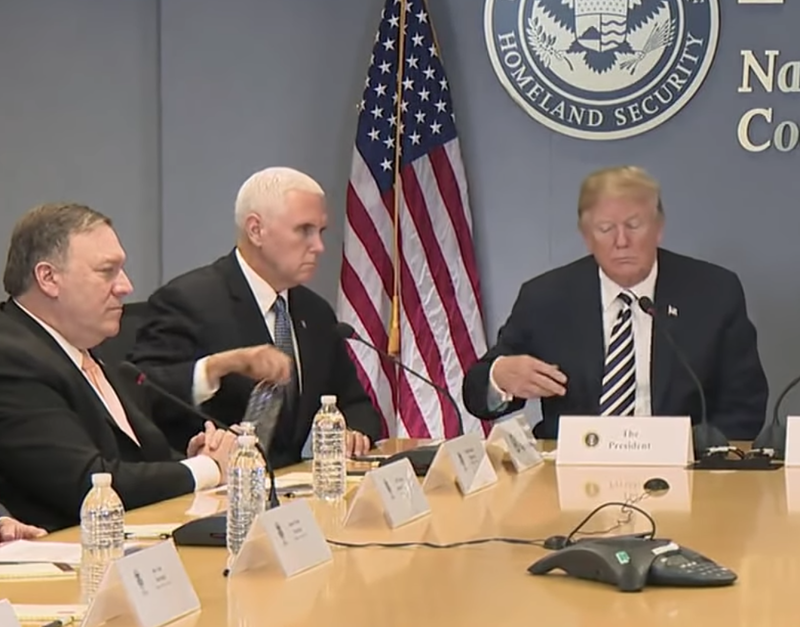 Only 2.7 seconds after President Trump first touches his water bottle - and before he's even returned to an upright posture in his chair, Vice President Pence follows his boss's lead - mirroring Trump almost exactly. Did you notice that the President's and First Lady's water bottles have a blue color cap vs. all the others? 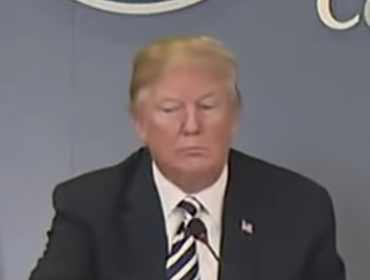 Trump then moves a napkin onto his lap. But not before the President looks down to his right - noticing Pence's mimicking behavior. SUMMARY: When two people hold similar opinions and enjoy good rapport, very often they will, to varying degrees - mirror each other's body language - as well as their vocal qualities and even their word choices. Couples in love do this all the time. Indeed, this is one reason why family members (and others who share living quarters) develop similar mannerisms (as well as their near-constant exposure). In such scenarios, behavior is subconscious 99% of the time. Thus, it's not surprising that some people will deliberately try to mirror other peoples' body language in efforts to gain their influence and build rapport. Yet such a practice can be a minefield. 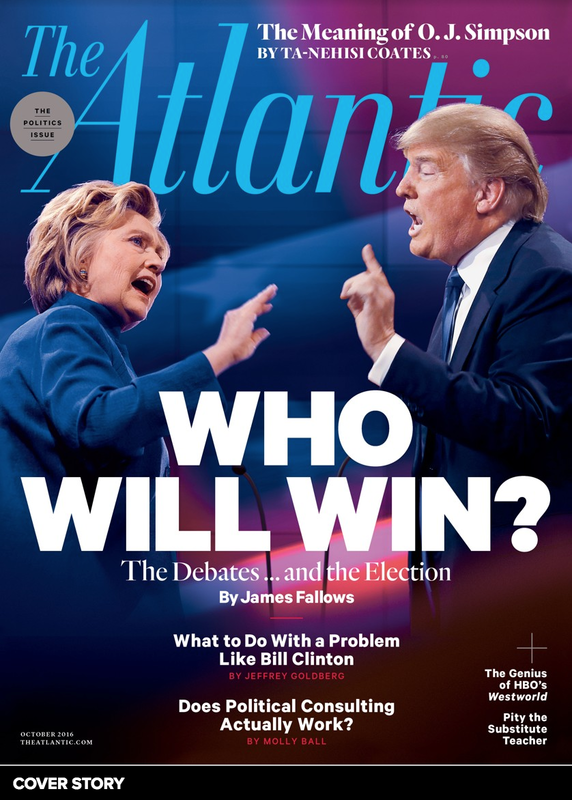 Crucially, mirroring another person's behavior, by definition, is insincere and deceptive. One reason to NOT deliberately mirror another person is that most will do so indiscriminately - copying all behavior - the negative as well as the positive. With this in mind, it's no wonder that pell-mell parroting of body language will destroy rapport - not build it. 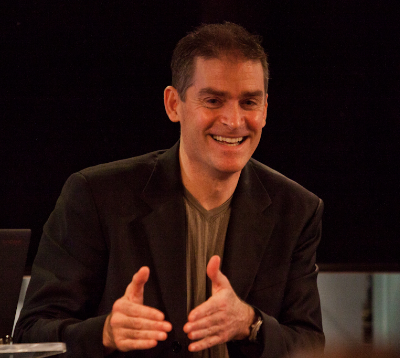 In addition, people who routinely rely on mirroring techniques will lower their own confidence levels as they base much of their decision making upon others' opinions - thereby also diminishing their free thinking and creativity. Moreover, mirroring another person's behavior too exactly in physicality - and too close in time - will become quickly and painfully obvious to even the casual observer. It will then, of course, be accurately interpreted as manipulation and sycophancy.